Pure Organic French Lavender Essential Oil in a base of organic Safflower Oil (very gentle) - for ages six months and older. 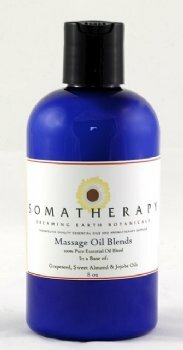 Use this softly fragrant oil to soothe and relax your child with a gentle massage. Lovely to use after a warm bath for skin moisturizing, and to help your child relax before bedtime. You can also add about half a teaspoon directly into warm bath water and swirl around before your child's bath.